The Compact fixed blade from American Knife Company offers a simple, easy to carry design with a 4" hand ground blade made from tough A2 Tool Steel. 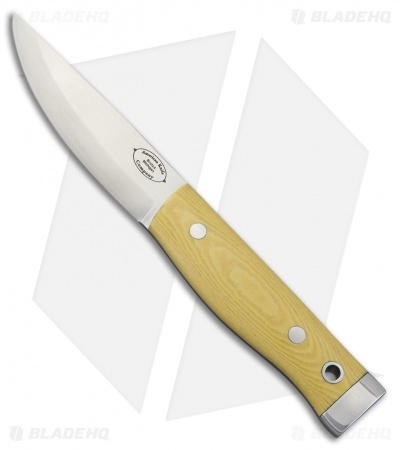 It features antique ivory micarta handle scales with a stainless steel pommel and lanyard hole. Item comes equipped with a leather belt sheath. This Compact model has ivory micarta handle scales and a satin finished blade.